Over the past few years, Logitech has ditched fancy names for its products, and instead settles on numbers, with a few models being labeled just “Pro”. On our game reviews today, we will focus on Logitech G Pro wireless mouse, whose main gist is that it is super lightweight despite having a wireless design. Logitech G Pro is designed for professional gamers who need the basics of a gaming mouse without unnecessary bloat and features. Actually, it represents a stripped-down affair without a million buttons and weights. Logitech G Pro comes with an ambidextrous design with optional buttons on either of its sides and features Logitech’s greatest sensor. The battery life is tremendous and this, plus other features makes the mouse sell at an outrageous price of $150. 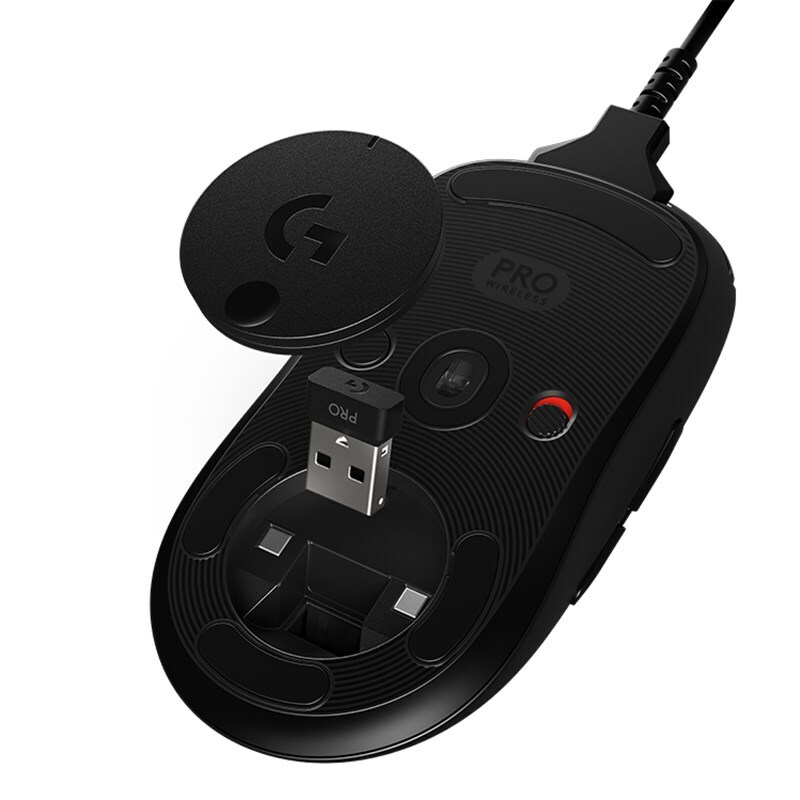 Logitech G Pro is highly compatible with Logitech’s Powerplay wireless charging mat if you are among people who don’t love plugging in your mouse. Logitech G Pro comes with more innovative features. It has a low profile design and is hence meant for gamers in need of a big mouse head-on in their palm. If you are among those who tend to grip a mouse using a pinky finger and thumb on sides, Logitech G Pro will feel comfortable. Do not worry about size due to little weight, as this mouse is neither too small nor too big. It is just the right size. Most of the mouse is non-textured plastic, and you might find it dull and boring if you prefer a mouse with extra grip in its sides. Unlike many gaming mice, the Logitech G Pro’s DPI toggle button is placed underneath the mouse, instead of having it behind the mouse wheel where it would be more reachable. This mouse also has an on/off switch and a USB receiver slot that is covered by a magnetic lid. This is a plus as you can easily put the receiver inside the mouse. Under the hood, you will notice Logitech’s most recent sensor, the Hero 16K. The sensor gives you more range of motion than you need and according to Logitech, it needs lesser power than many of its previous sensor. This allows a lesser battery and a lighter mouse. Logitech G Pro communicates with its USB dongle through the Logitech’s Light speed wireless technology, offering a 1ms report rate. This is also used in the Logitech G903 and G907. As mentioned earlier, Logitech G Pro is a super-light mouse. With a weight of only 80g, it makes it to the lightest gaming mice in the market today. Theoretically, this allows faster movement and makes it easy for you to pick up the mouse and flick around. 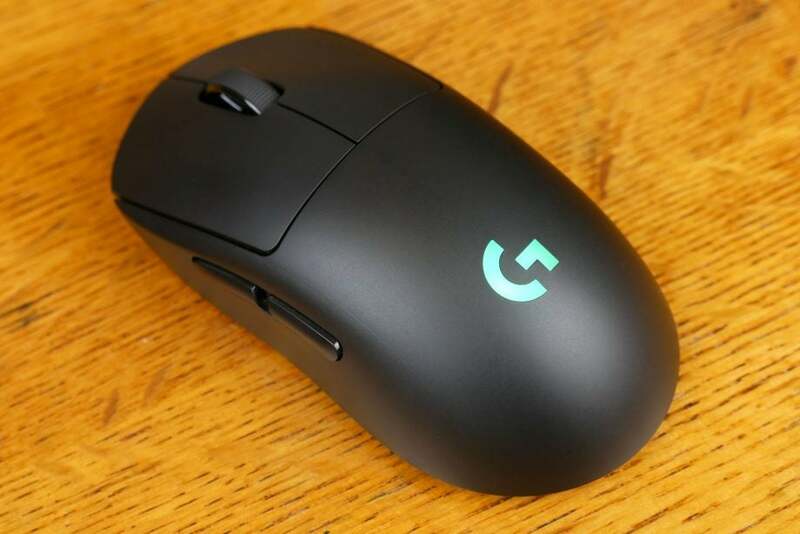 Logitech achieved making Logitech G Pro this light by using a thin exoskeleton and incorporating a smaller than average LiPro battery, which runs for more hours. Although Logitech has not quoted any numbers, the Logitech G Hub software has earlier on noted that when fully charged, the battery can last to an average of 41 hours. You can easily charge this battery with a USB cable that connects to the mouse’s front, and still, you can use it as a wired mouse as it charges. Since the Logitech G Pro gaming mouse is made in current times, it also has RGB lighting. This allows you to control the logo colors of the mouse. Also, there are always three small lights above this logo that indicates the DPI you are using. The number of dots increases as you increase the DPI. You can toggle to make the DPI lights on all time, and you can still set to have these lights flash briefly once you change DPI. Even though Logitech’s gaming software was already among the best in peripheral customization, this mouse has an even better and new G Hub Software Suite. This software is locally organized and straightforward to use. You can use it to carry out normal tasks like making adjustments on DPI settings, recording and assigning macros, and changing the lighting as well. Since most actions by this software are drag-and-drop, it is much easy to use. You can drag commands from the menu onto the mouse’s buttons to reassign them. Even though Logitech G Pro’s $150 price tag is quite high, there is not much to complain about this mouse. It is accurate, customizable, comfortable, and gives you splendid battery life. If you are looking for a top-tier device, we recommend Logitech G Pro.